Linzi Shoes are a unique boutique footwear design and distributor company, boasting a recognisable and reputable global brand. Linzi were looking to move away from an in-house online presence that had been used for over 10 years, and had approached Original People to re-design the entire consumer experience from the ground up. Amongst the key objectives outlined, the emphasis had been placed on making the user experience as straight forward and intuitive as possible - ensuring that customers were able to move through the process of browsing to transacting with ease and efficiency. By underlining the brand values, we undertook an extensive discovery phase in understanding the psychology of Linzi's current consumers online purchasing patterns and behaviour in order to achieve a greater understanding of where enhancements could take place. In order to achieve optimisation and increased conversion within the customer experience, we had to innovate and think outside of the box. By designing a "Quick View" interface, customers were provided with the ability to instantly view product shots, product information, share on social media, select the required shoe sizes and immediately add the item to their shopping bag without leaving the category page that they are currently on. This enables the consumer to remain actively exposed to the entire category product manifest, resulting in further potential purchases. Ensuring that consumers were able to transact through their mobile device was of high significance to Linzi, as they were looking to enhance their mobile experience due to the proliferation of mobile use in recent years. 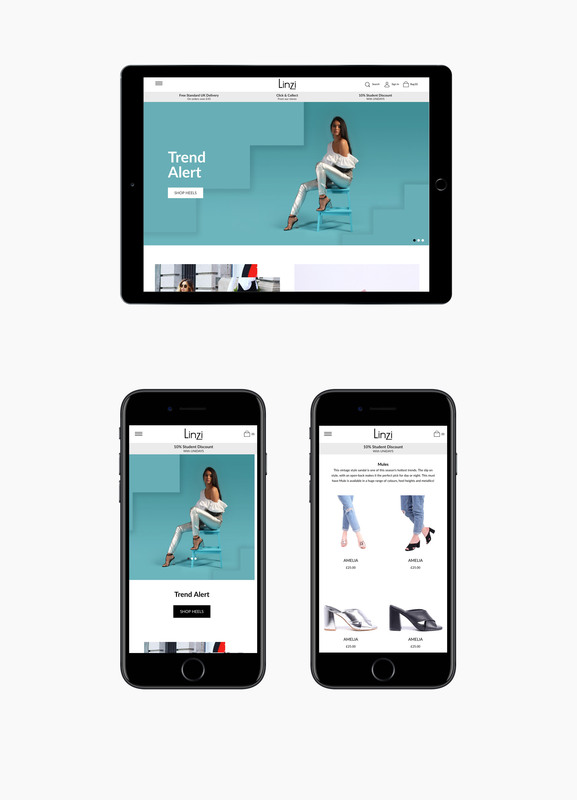 We realised this by crafting a tailored mobile user interface, accentuating a cultivated and curated shopping cart UX. Since the implementation of the new interface, Linzi has seen an exponential increase in transactions from a range of mobile devices. 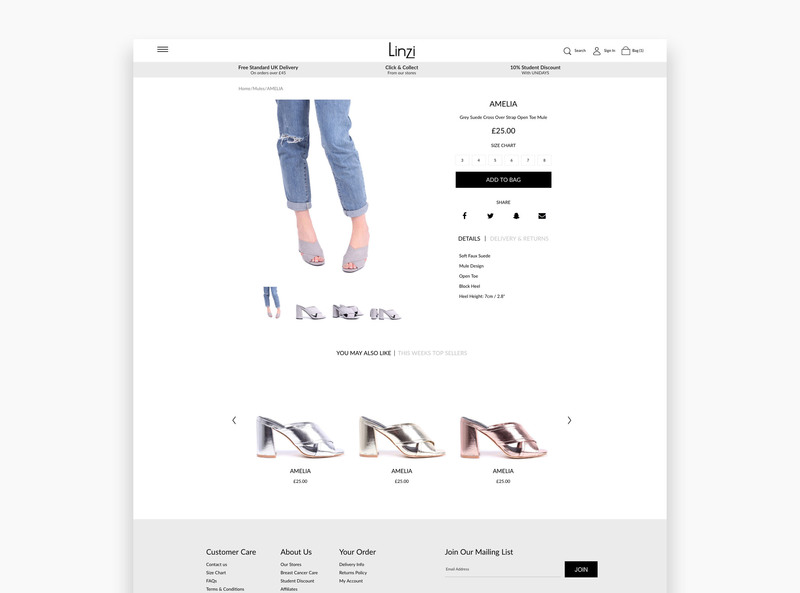 After re-engineering the way in which customers experience shopping through Linzi’s web platform, we’ve seen a surge in purchases from both existing customers and newly acquired customers. By incorporating the digital strategy outlined by Original People, coupled with implementing a unified and native contemporary UI, we can see that the business is on track for exponential growth through its digital medium.